Transportation Minister says meeting between Trump and Netanyahu marks new era in US-Israel relations, calls to annex Maaleh Adumim. Transportation Minister Yisrael Katz (Likud) praised the meeting between Prime Minister Binyamin Netanyahu and US President Donald Trump on Wednesday as a success in an interview with Kol Chai radio Thursday. "I congratulate the Prime Minister on the successful meeting with the President of the United States, the world's largest superpower. This meeting sent a message, both in the things which were said and in the things which were unsaid. Israel has been in contact with officials in the US in preparation for this meeting, and it is clear that the policy of this administration will be different in regarding construction in the settlements and certainly regarding construction in Jerusalem. The other stuff is semantics," said Katz. He said, "We must allow unrestricted building in Jerusalem and building within the municipal boundaries of the settlements should occur freely...It does not matter if we're talking about Beitar Illit, Modi'in Illit, or Elon Moreh, every community has plans and the construction must be [bureaucratically] approved [and carried out] without interruption. This will remove the interpretations about what happened yesterday." "Iran and the Muslim Brotherhood are out, Israel and the Sunni states are not. America is first in the world. Israel is first in the Middle East. Now we have to create an alliance here based on Israel and the US that leads the offensive against Syria, which will lead to the marginalization of the Iranian axis. The entire space was left to Iran and Hezbollah with the support of Russia. We have to have American backing against this [axis]. The Sunni states don't exactly pray for peace in Israel, but their interests are threatened by Iran," he added. He said that the two-state solution had been pushed aside during yesterday's meeting between Trump and Netanyahu. "Everyone knows that a Palestinian state - which I am against - is irrelevant. This is what the President of the US said." 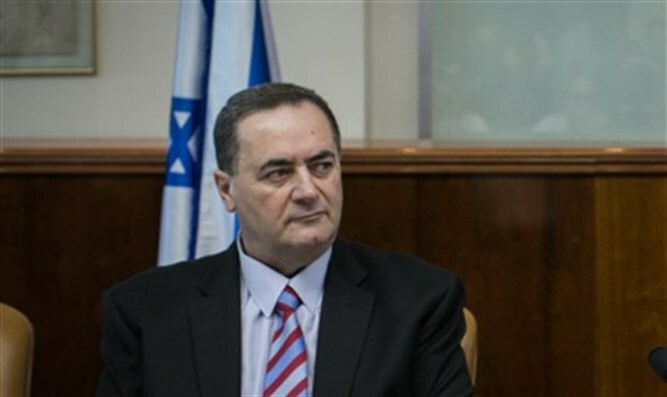 Katz said that Israel must annex Maaleh Adumim to stop international efforts to undermine Israel's connection to Jerusalem by building illegal structures for Arabs between the capital and Maaleh Adumim. "You automatically increase the Jewish population in Jerusalem without anyone having to move," he said of the proposals to annex nearby Jewish towns to Jerusalem. Addressing the investigations against the Prime Minister, Katz said: "I support the Prime Minister and hope that these [troubling times for him] pass quickly. I expect the authorities to do their job professionally." He said that it would not be the end of the Likud party, though, if Netanyahu resigned as Prime Minister. "I will, with God's help, deal with the [issues of] Likud leadership and the premiership the day after Netanyahu."